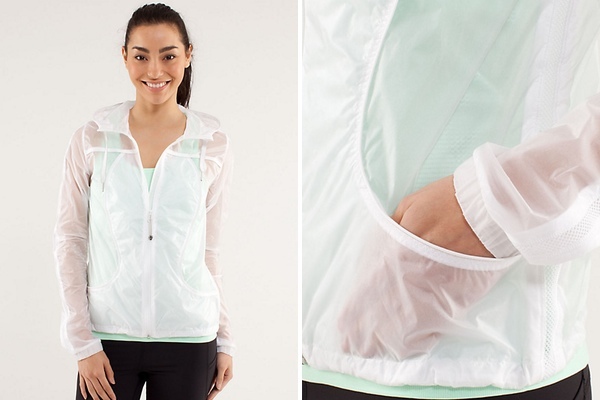 Lululemon’s Transparent-See jacket is soft and light as ever. With its Translu fabric, it manages to keep out the cold, too. The sleeves have mesh vents to release sweat. 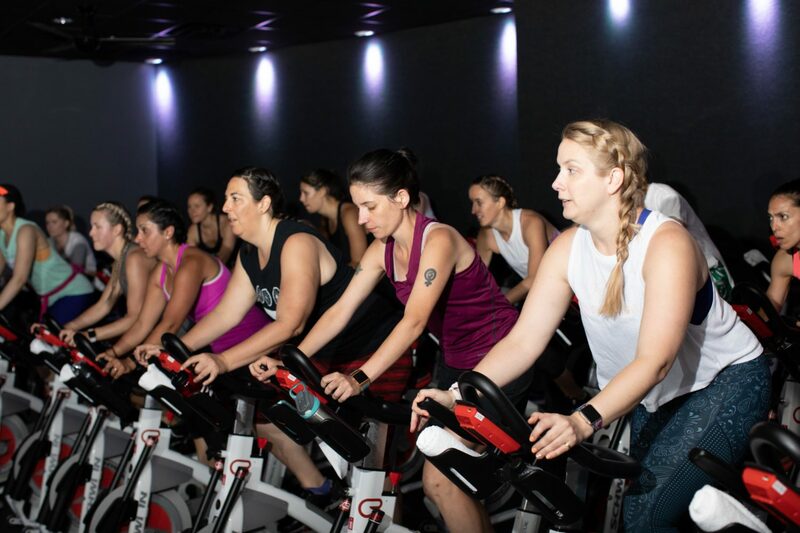 $108 at Lululemon. 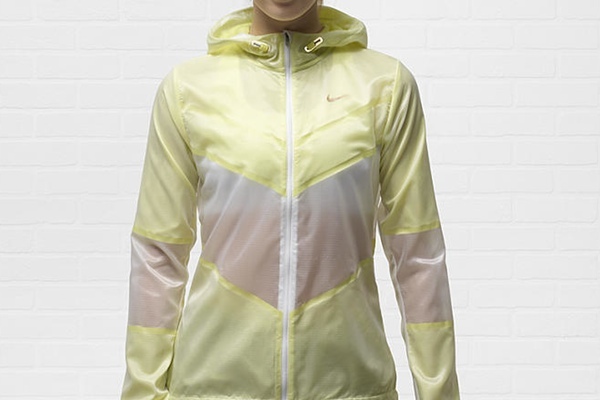 Nike’s Cyclone jacket is designed to protect runners during moderate weather. 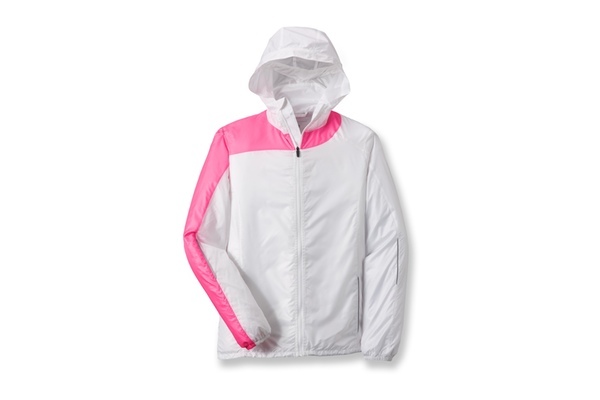 The inside features Dri-FIT mesh lining, and the hood will keep you covered but won’t obstruct your visibility. Also available for men. $120 at Nike. Under Armour’s See Me Go translucent run jacket is great for nighttime runs, thanks to reflective markers in the front and back. $80 at City Sports. If keeping your head dry isn’t an issue, the North Face’s Torpedo jacket is a good choice. 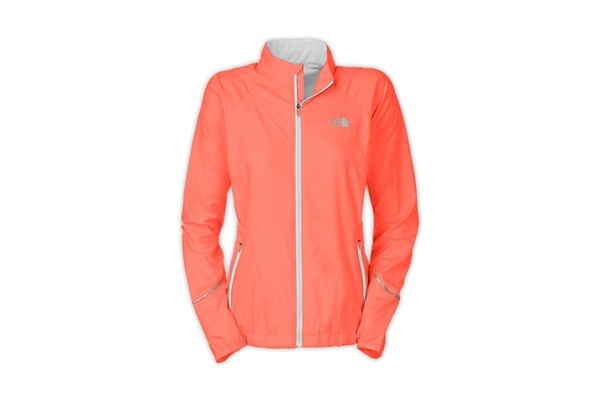 It’s a favorite among North Face athletes for its fit, handy back pocket, and ventilation. Also available for men. $99 at the North Face. 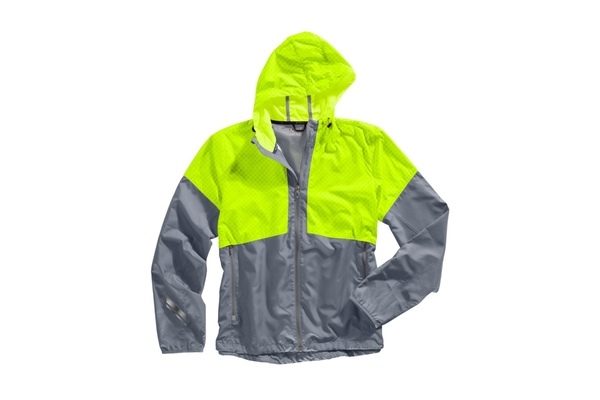 Under Armour’s Run Storm hooded jacket for men repels water and wicks sweat away from the body. 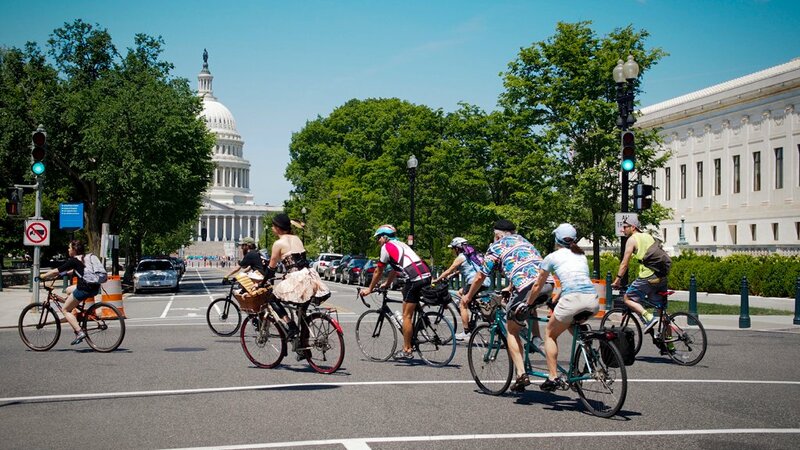 When it’s cloudy or dark out, the bright graphics will keep you visible and safe. $74.99 at Under Armour. 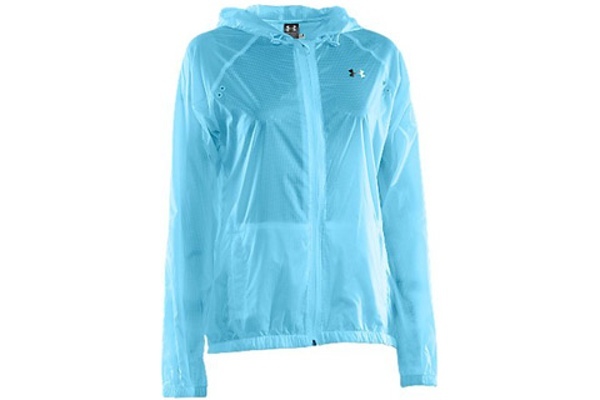 This LSD Lite jacket by Brooks Running is breathable, blocks wind, and repels water with microfiber polyster fabric. 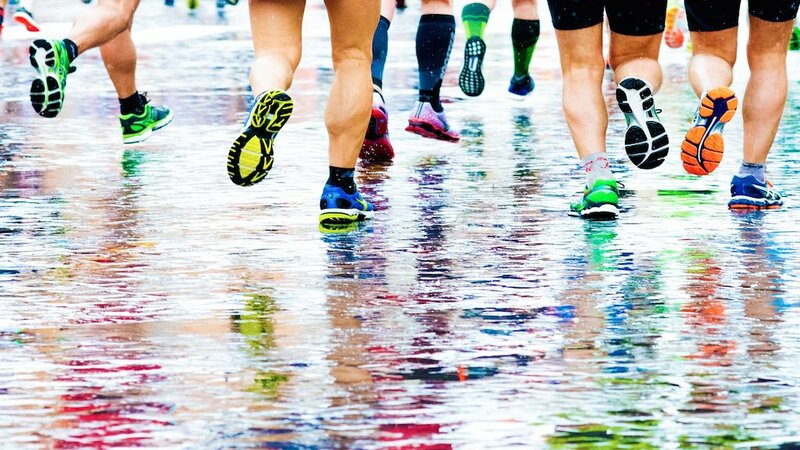 The jacket can pack into its own zippered pocket when your run is finished. Also available for men. $85 at REI. 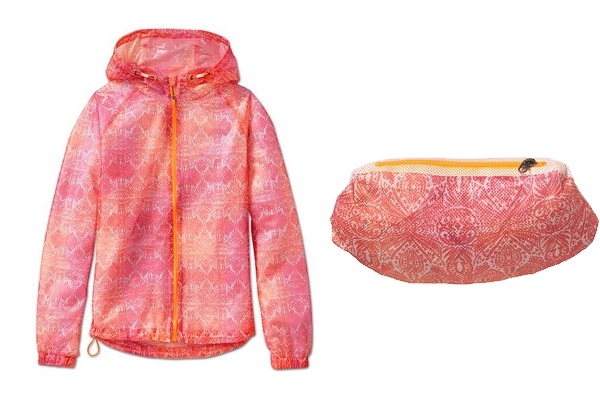 This print-tastic Spritz jacket by Athleta will give you that spring fever when the weather won’t cooperate. It folds into a cute pouch when not in use. $98 at Athleta. 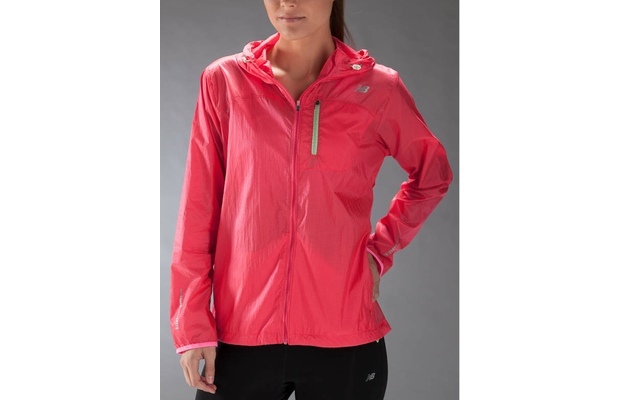 New Balance’s simple Impact jacket features bungee cords to keep the jacket pulled tight and prevent water from seeping inside. Also available for men. $90 at New Balance.